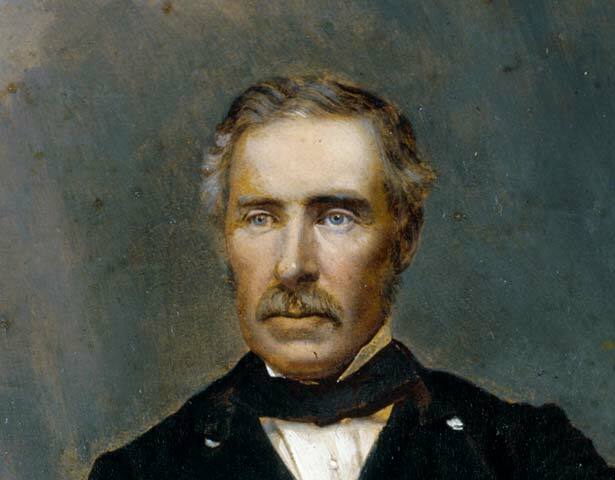 Sir George Grey was our only politician for whom the premiership was an anticlimax. As our most famous governor, he ruled autocratically from 1845 to 1853 (greatly shaping our constitutional arrangements) and returned for a second term in 1861. His vice-regal career, which also included South Australia and the Cape Colony, ended humiliatingly in 1868 when London sacked him for ignoring instructions. Grey was liberal and humanitarian, but also devious, erratic and autocratic – in other words anything but grey. He peddled myths that still linger. After spending time in Britain, he returned in 1870, retreating to Kawau Island, where he indulged his interests in books, Maori lore and exotic plants and animals. It took the threat to the provincial system to bring him out of retirement and into the Auckland provincial government (as superintendent) and Parliament in 1875. Grey failed to save ‘his’ provinces but in 1877 he became premier. His government was not as ‘liberal’ as he suggested, and he led it poorly, but it did pass trade union legislation before being defeated. Typically, he did not go gracefully. He asked the governor for a dissolution, expecting to be refused and to be able to make it an election issue. But His Excellency smelled a rat and turned the tables on him by agreeing. Left spluttering and prevaricating, Grey had to be pushed to resign. His chief opponent, conservative politician John Hall, passed the electoral reform legislation Grey had failed to make law. From the back benches Grey campaigned for elected governors and upper houses, and an end to plural voting (achieved in 1889). He returned to Britain in 1893, where Richard Seddon thought it worth being photographed with the old man four years later. We have 4 events in history, 17 biographies, 6 articles, related to George Grey.